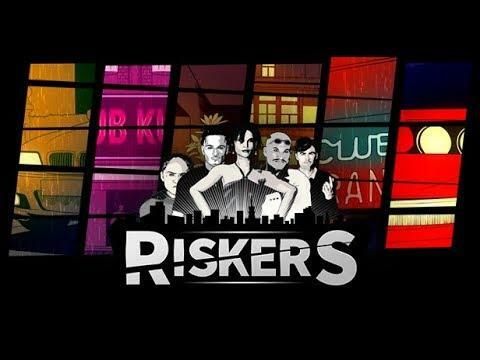 Only a day after the main release, Riskers [Steam], the game inspired by classic GTA and Hotline Miami has officially released for Linux. Disclosure: My key was provided by their PR people. I've tested it a bit and it does have some issues. The first, is that you end up with a double cursor, the game cursor and the system cursor. Not a major issue, but noticeable. While the music seems okay, there doesn't seem to be any other sound effects. You don't hear sounds from cars, guns or anything else. I'm not sure if that's a bug, a very limited budget or for effect, but it's just weird. I will reserve any final thoughts on it until I've had more time with it, but honestly, it's not what I was expecting. I was hoping for even a small open-world, since it's inspired by classic GTA, but it feels very much like a fast-paced linear experience. While the style does look pretty good, the actual gameplay seems (without sounding too harsh, as I've not yet played a great deal) rather low-budget. It will be interesting to see if the developer will continue to expand it, as it could end up quite interesting. It's not an Early Access game though, this is a finished product. I don't imagine them making many huge changes to the game. "or resort to chair-throwing", cool, I'm gonna go all Steve Ballmer on everyone! Luke_Nukem "or resort to chair-throwing", cool, I'm gonna go all Steve Ballmer on everyone! Also kinda sad this game is so broken at release and so far from what GTA was . Give those guys a break. They managed to pull out the Linux version just with 1 week after steam community asked for it. They have patch in the works to fix the issues as said in the same thread in steam community. Looking forward to the patch, as of right now the game just crash to desktop for me when I try clicking on New Game in the main menu. Yaumeister Looking forward to the patch, as of right now the game just crash to desktop for me when I try clicking on New Game in the main menu. update is live already, fixes most issues. but now i have cursor offset with a 2560x1440 resolution. i guess it doesnt scale the window properly and thinks its 1080p. Bought Riskers this evening and whilst it looks promising, the offset cursor issue is very irritating, as it the lack of official controller support. Will keep following for the time being, though, as it is my kind of thing!